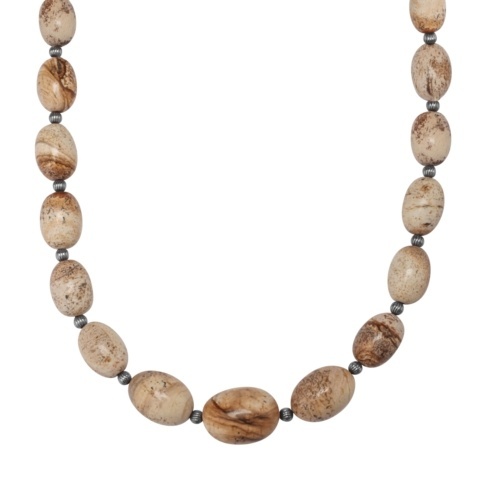 Jasper stones are varied colors of Chacedony Quartzes. Almost always multi-colored in differing patterns. Like Agates, Jaspers are often named by their location, color, and pattern styles. 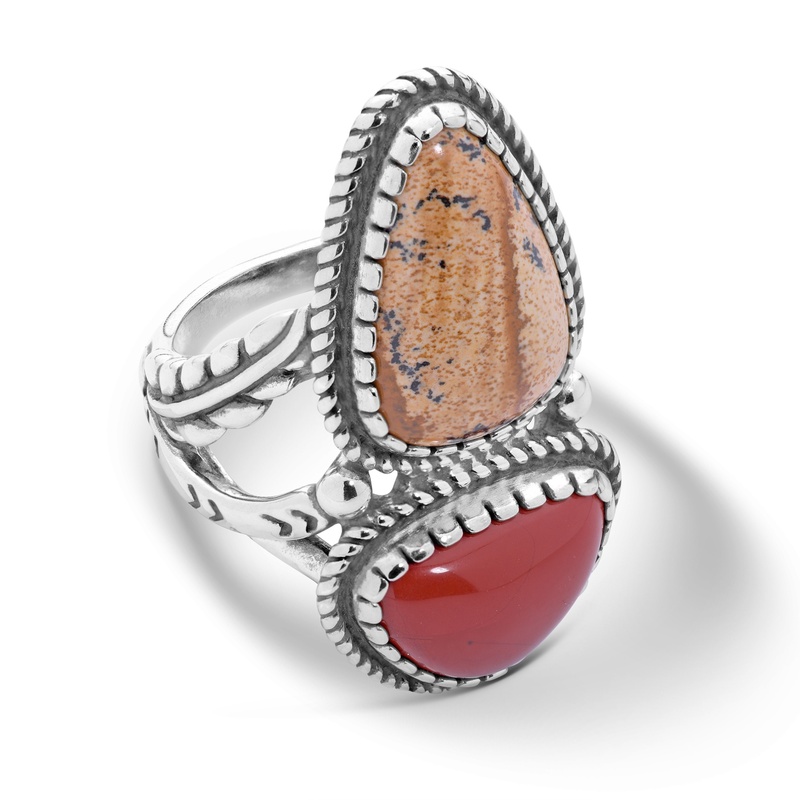 Rich colors of the west–featured in the gemstones of this sterling silver ring–match best with the earth tones in any seasonal look. From American West Jewelry. 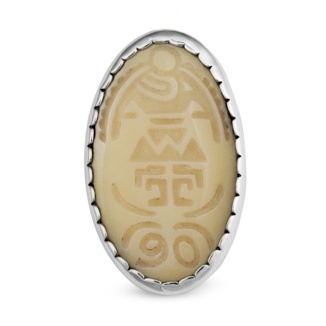 Created to commemorate the 90th anniversary of the Santa Fe Indian Market, a piece of yellow jasper is decorated with history and Native American lore. The front of the pin features an Eagle Dancer that was used as the logo for the Southwestern Association for Indian Arts from 1959 to 1997. 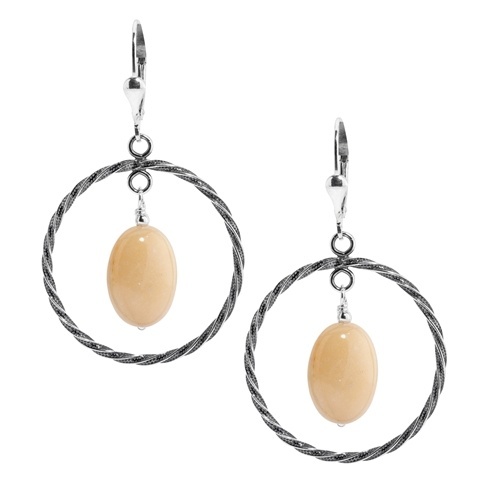 On the back, a yellow jasper cabochon is carved and overlaid with Sterling Silver in a corn symbol, whice reflects the importance of crops to Native Americans. Pin measures 2" long x 1" wide. Made in America with gemstones from around the world. From the breathtaking slopes of Idaho’s Boise Mountain range come these beautiful button earrings. 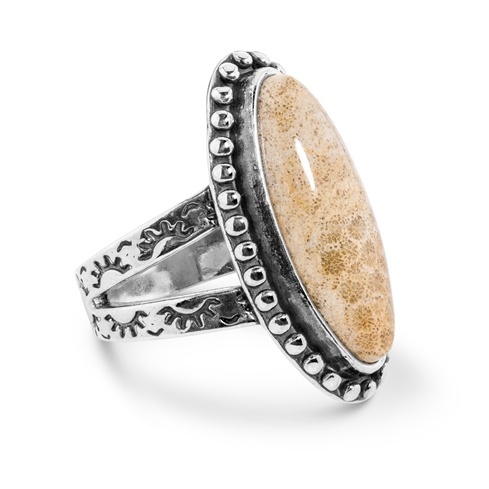 The centerpiece is a bezel-set cabochon of Willow Creek jasper, glowing with the pale rosy blush of a summer dawn. Enclosing the gem is a beautifully austere frame of highly polished Sterling Silver. These simple American beauties make excellent pairings with rhodonite gems and Sterling Silver chains. 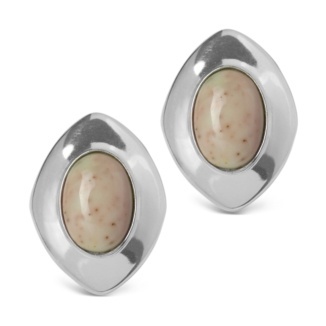 Measures 1″ long x 3/4″ wide and features silver post and clutch closures. Mined and made in America.